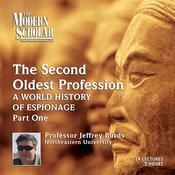 Professor Jeffrey Burds of Northeastern University delves into the history of espionage in this eye-opening lecture series. The course opens with espionage activity in the ancient world and the Roman Empire and continues with the American Revolution, the Age of Napoleon, and the American Civil War. Throughout this compelling discussion, it becomes evident that spying is not only a never-ending source of fascination but also a major contributor to world history and the development of nations.